An article by Karl Gruber on Australiangeographic.com - Humans lived in Indonesia's rain forests more than 70,000 years ago - reports that human incursions into Southeast Asia may have occurred more than 20,000 years earlier than previously thought. The entrance to Lida Ajer, a cave in the Sumatran highlands of Indonesia. Researchers say teeth found at the cave belong to anatomically modern humans and are up to 73,000 years ago. Image: Julien Louys. 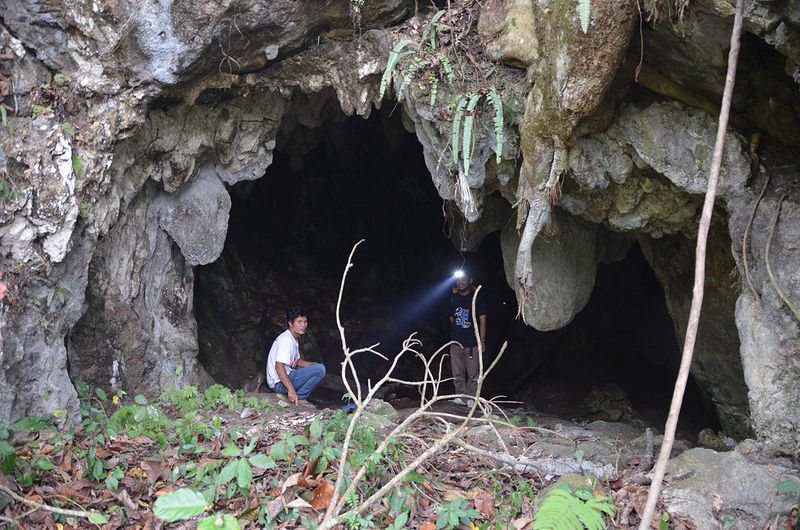 A new study based on the re-analysis of a pair of ancient human teeth first discovered more than 100 years ago by Dutch paleoanthropologist Eugene Dubois in the Lida Ajer cave, located in the Padang Highlands of West Sumatra, points to the forests of Sumatra in Indonesia were the home of modern humans. Dr Kira Westaway at Macquarie University explains that the two human teeth discovered by Dubois are now being analysed by dating and scanning techniques which help prove the significance and age of the teeth. Lida Ajer modern human tooth (left top) with its corresponding scanned image (left bottom) compared to an orangutan tooth (right). Image: Tanya Smith and Rokus Awe Due. The teeth are from a modern human and they were in Southeast Asia 20 thousand years earlier than previously thought. This has implications for our understanding of when humans first arrived to Australasia, as well as what route they followed. Previous studies had suggested early dates for human settling in Australia based on indirect evidence. This is physical evidence to support this early claim and provides the missing link in the chain from Africa through Asia and down to Australia. 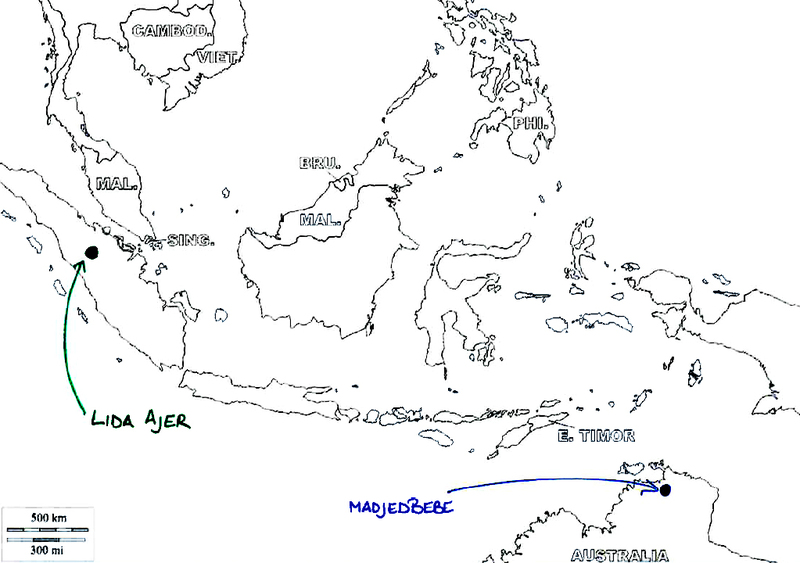 Dr Jillian Huntley at Griffith University states that these latest finds on Sumatra contribute to an emerging body of evidence supporting what many archaeologist had suspected for decades; that fully modern humans migrated through Sunda, crossed the Wallacean Islands and settled in Sahul before 60,000 years ago. Approximate locations of the sites of Lida Ajer (in green) and Madjedbebe (in blue) which suggest modern humans were in the region much earlier than once thought. Image: Tanya Smith. Moreover, the high level of forward planning, behavioural flexibility and cultural innovation required to achieve such an early migration from Africa means that Aboriginal Australians are the net result of a high point in human evolution. This research represents the oldest evidence of rainforest use by modern humans.